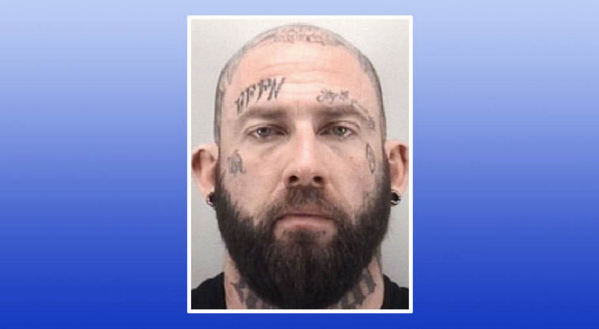 BIKER NEWS -- A Mongols Motorcycle Club member charged with breaking the eye socket of a man wearing a Hell’s Angels shirt during an attack near VCU was denied bond Wednesday. Justin T. Bovender, 34, is facing one count of malicious wounding and two gang participation charges in connection with the Sept. 24 assault. He is also expected to face additional charges related to guns and drugs found during a search of a Mechanicsville Turnpike house, a prosecutor said. Bovender, a strength coach by trade, is listed in court records as being 6 feet, 4 inches tall and 256 pounds. His head is shaven, and covered in a variety of tattoos, including one on the back that reads “Mongols.” His attorney, Craig Cooley, did not dispute Bovender’s membership in the club. After the incident, Bovender told a Richmond police lieutenant in a weight room that he had gotten into a fight with a man because the person was involved with the Hell’s Angels, Assistant Commonwealth’s Attorney Brooke Pettit said in court. On Sept. 24, the victim in the case was helping a friend pick up a piece of restaurant equipment from a company on West Broad Street, according to an affidavit filed by a Richmond police detective seeking a search warrant. He was wearing a shirt that “showed support for the Hell’s Angels,” according to the statement. When the man in the Hell’s Angels shirt finished at the store, he found that his helmet was missing from his motorcycle, according to the affidavit. Later, he noticed a BMW following him. When the victim stopped for a traffic light in the 100 block of South Belvidere Street, the man driving the BMW got out, according to affidavit. The man from the BMW, whom prosecutors allege was Bovender, told the man in the Hell’s Angels shirt to meet him at the 7-Eleven on the corner if he wanted his helmet back, according to the statement. When the man in the Hell’s Angel’s shirt turned to look at the 7-Eleven, prosecutors allege, Bovender hit him, and continued striking him. The beating broke the victim’s eye socket, Pettit said at the hearing. A VCU security camera recorded the incident, Pettit said. The video was not shown in court. A later search of a house used by the Mongols turned up a banner, Mongols vests, drugs and more than a dozen firearms, including three linked to Bovender: a Mossberg shotgun, a Glock pistol and an SKS rifle, Pettit said. The SKS was the military rifle of many communist states before the adoption of the AK-47. While Cooley emphasized Bovender’s ties in the community, Richmond Circuit Court Judge Margaret P. Spencer sided with the prosecution and denied bond. Get a copy of RICHMOND or go to www.richmond.com for more stories.